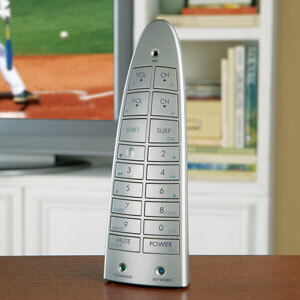 Brookstone in the US have just released a voice activated remote control. For those who are just to lazy to get that control it apparantly will work straight out of the box to any language or accent (really?!?!). Press the help button and you will be talked through the set-up process. Not yet available in the UK, you can pick one up direct from Brookstone for $40.